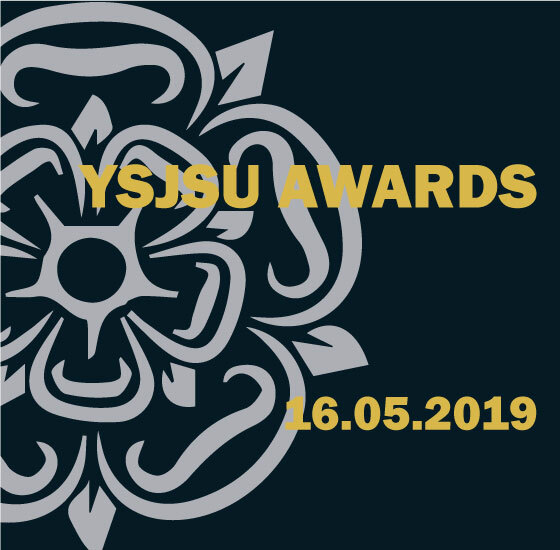 The YSJSU Awards celebration is the concluding part to three weeks of recognising achievement at the Students' Union. Working with the University, this awards night is there to honour the work of our volunteers, representatives and staff of the university. From your academic Reps, to tutors and service staff who work to make your experience the best it can be at YSJ - this night is here for them. Show your appreciation and send out the academic year with a cheer. Awards Categories have been announced - you can check them out here and then nominate who you think will should win on our website from 8th April - 3rd May. You can buy tickets here or at the Info Point from 29th April until 15th May - only £5 for a fun filled night including food!